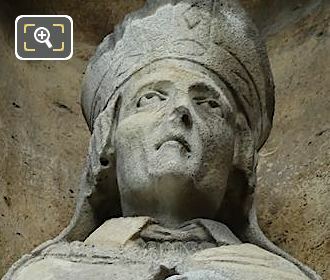 We were at the Eglise Saint-Germain l'Auxerrois in the 1st Arrondissement of Paris, when we took these high definition photos showing a statue of Saint Landry, which was sculpted by Louis Desprez. This first HD photo shows a statue of one of the many saints that can be found at the Eglise Saint-Germain l'Auxerrois, and the middle one here depicts Saint Landry, which was sculpted between 1841 and 1842 during the major restoration work that was being undertaken on this historical church in Paris. 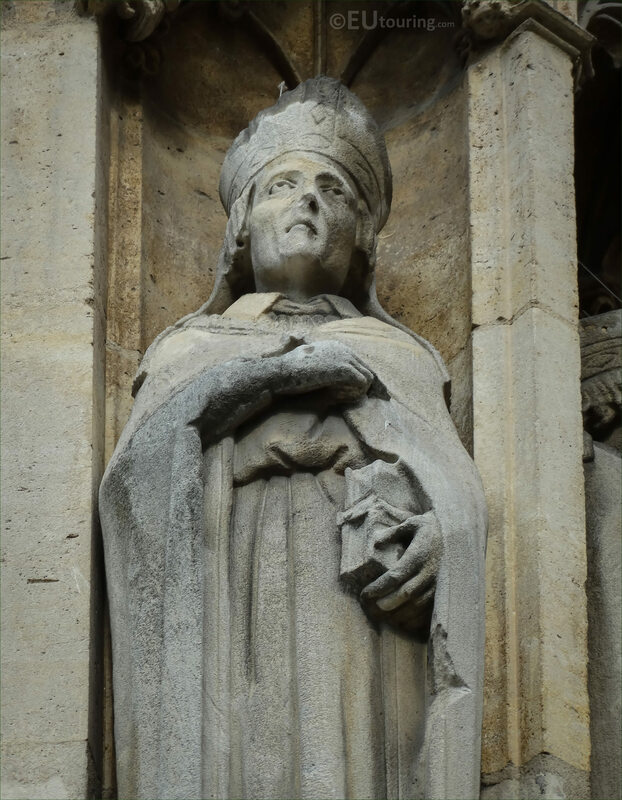 This Saint Landry statue, made of stone, was produced by Louis Desprez who was born in 1799 in Paris and studied under Francois Joseph Bosio to become a French sculptor, present works at the Salons for French artists from 1824 through to when he passed away. 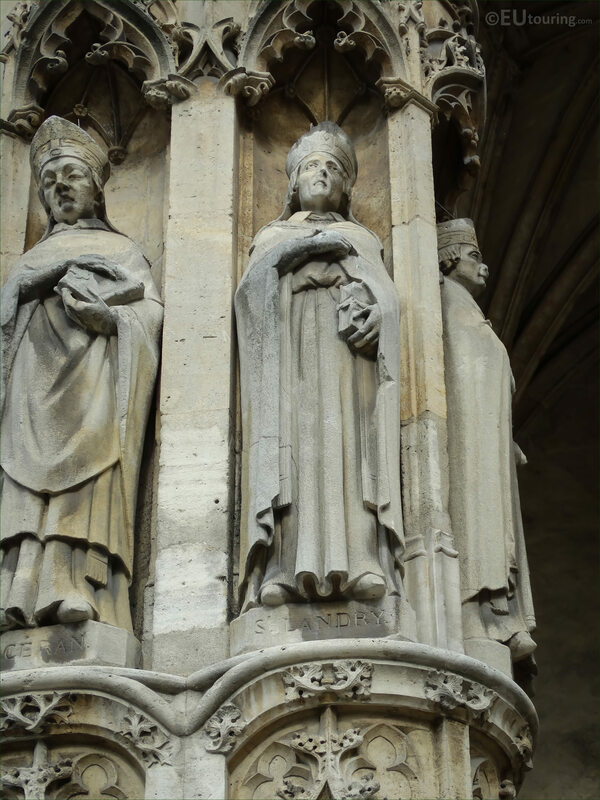 You will find that many of his works are now located within museums throughout France, yet there are statues and sculptures at lots of tourist attractions in Paris including The Louvre, Eglise Saint-Nicolas des Champs, Fontaine de Saint-Sulpice, Tour Saint Jacques, etc. However, in this photograph you can see a close up showing the base of the statue with the name of St Landry inscribed on it, which depicts this man who was consecrated the Bishop of Paris in 650 and it was he who had the first major hospital in Paris constructed, now known as the Hotel-Dieu, which is located on the Ile de la Cite by Notre Dame Cathedral. 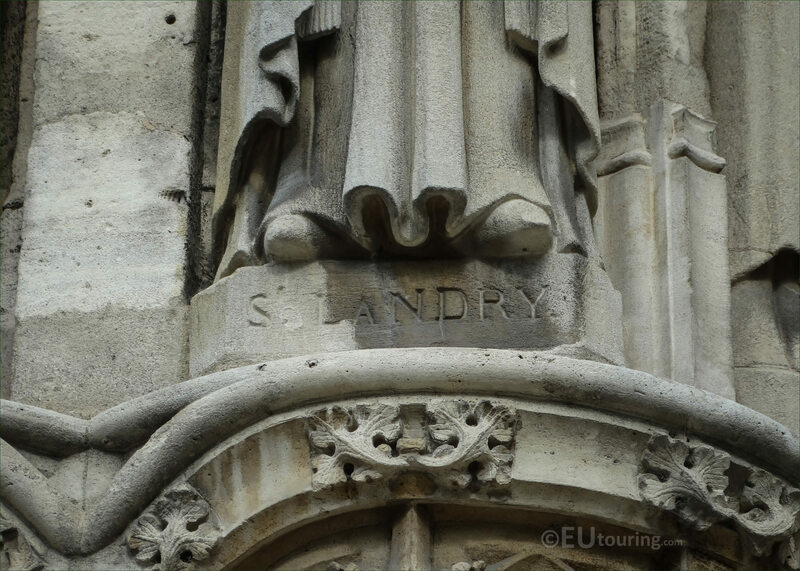 And although the exact date of death for Saint Landry is unknown, it is believed to be around 661, and buried within the Abbey of Saint-Germain-des-Pres, he was venerated as a saint in Roman Catholic religion, with his feast day being the 10th June.